SAVANNAH, GA – June 8, 2017- The Board of Directors of the Ogeechee Riverkeeper are seeking a new Riverkeeper and Executive Director to take the place of Emily Markesteyn Kurilla, who recently stepped down from her position with the nonprofit organization after six years. This full-time opening will be a permanent position with growth potential based on skills of leadership that accomplish the mission, attract donations and grants, and stimulate volunteerism within the organization. The mission of Ogeechee Riverkeeper is to protect, preserve, and improve the water quality of the Ogeechee River basin. The nonprofit organization, licensed by the Waterkeeper Alliance®, receives its operating budget from donations, grants, and proceeds from various fundraising events. The position has three main aspects: running a nonprofit Waterkeeper® organization, being the “go to” person for environmental issues that pertain to the river, and fundraising, such as organizing activities and events that involve the membership and the general public, and seeking grants. The successful applicant must establish rapport with the public throughout the watershed and with policy makers, environmental agency personnel, potential funding organizations, and activists throughout Georgia and beyond. The position involved a broad range of actions for which few will be fully prepared, therefore it is essential to know how to learn independently. 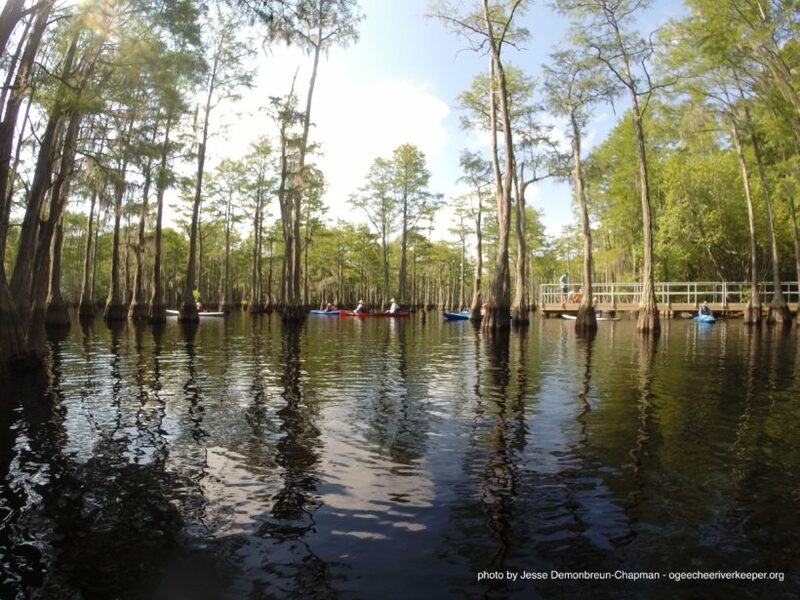 The Ogeechee River is a coastal plain river with unique fish and wildlife. The watershed is home to over 500,000 people and covers portions of 22 counties. Planted pine forest, coastal sands and clays, and wetlands are major features of the landscape. Environmental concerns include impacts to fish, wildlife, public health, wetlands, tidal marshes, river water quantity and water quality from activities such as titanium and zirconium sand mining, forestry practices, paper mills, solid and hazardous waste disposal sites, residential and industrial development, and invasions by exotic animals and plants. This position provides an opportunity to positively impact the environment of southeastern Georgia and to join coalitions to protect Georgia’s coast and all of Georgia’s natural waters. Applicants should hold a degree in natural science, law, or engineering, or an advanced degree or relevant experience with an environmental nonprofit organization, environmental agency, or environmental consulting or law firm. Applications will be accepted by e-mail or mail. Please send resume, names of three references, minimum salary requirements, and a letter stating your reasons for interest in the position to: Ogeechee Riverkeeper, PO Box 16206, Savannah, GA 31416 or info@ogeecheeriverkeeper.org. For more information about Ogeechee Riverkeeper or this position, please visit www.ogeecheeriverkeeper.org or call 866-942-6222.